Tiffany Kerns has witnessed firsthand the Children’s Health Insurance Program (CHIP) at work. Kerns has been a dental hygienist in Central, N.Y., for the last 12 years and serves as the treasurer of the Dental Hygienists’ Association of the State of New York. She treats and advocates for children and families who can afford dental care thanks to CHIP. This experience inspired her to visit U.S. Rep. Richard L. Hanna after hearing that the federal funding for CHIP could expire after September. 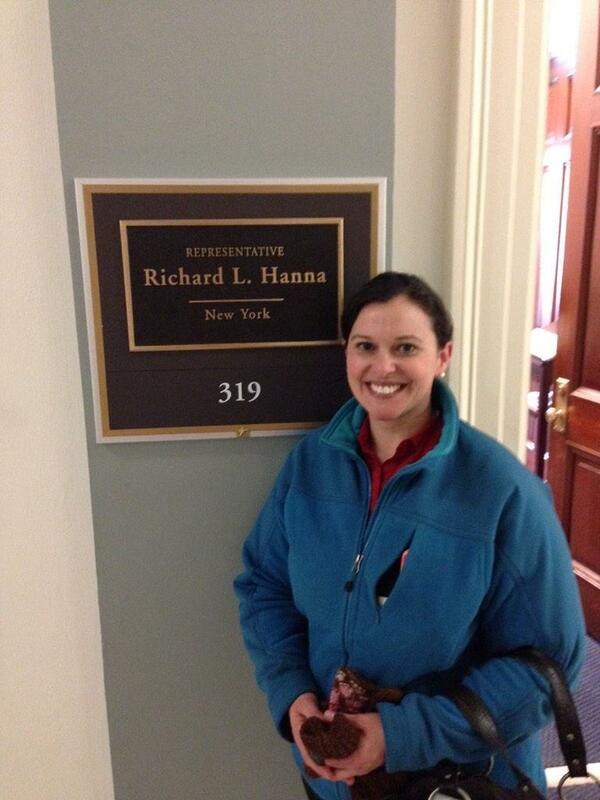 On a recent trip to Washington, D.C., Kerns visited Hanna’s congressional office on February 18. Though Hanna was not available at the time to meet, Kerns spoke with his aide Robert Wagener. “The only way they’ll know how we feel is by talking to them,” she said. Kerns said that Wagener had just attended a meeting on CHIP benefits and was familiar with the topic. Still, Wagener did not reveal where the congressman stands on the issue, which Kerns said was “disappointing.” She wanted him to “say Hanna was for CHIP and acting for CHIP,” she said. CDHP thanks Kerns for advocating on behalf of the 8 million children who rely on CHIP. These talking points can help you do the same.